To Cypress Lake United Methodist Church and Bright Beginnings Early School families, we are very excited to share with you some outstanding news stemming from the generosity of our congregation and our vision for caring for children and families at CLUMC. Beginning in the early spring, we will move forward with installing two new playgrounds: one specifically designed for toddlers, and one for older children. 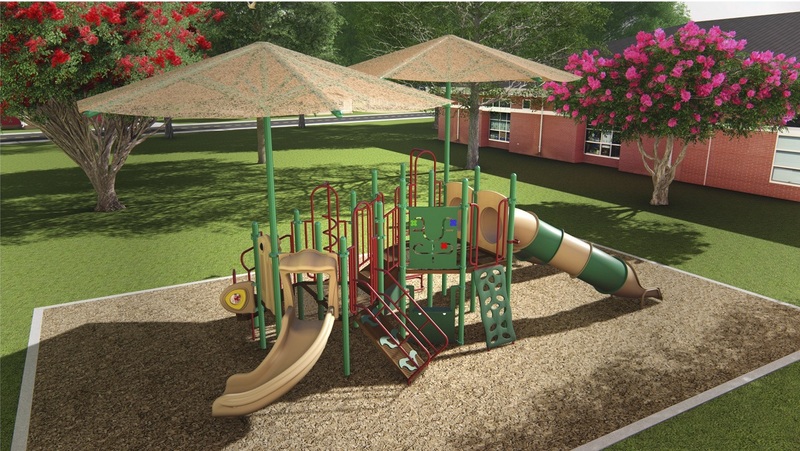 These playgrounds will be both located within the existing playground area behind Bright Beginnings Early School. Near these playgrounds, we will also be constructing a new splash pad, which includes four water features and other deck jets that will provide a waterpark experience for our children. These new features will leave a small green space at the end of the playground and future plans include to renovate the existing toddler playground behind Fellowship Hall into a secure open green space as well. Not only will the outside be getting an update, but we recognize some improvements need to be made to the Bright Beginnings building’s interior. Once school is dismissed in May 2019, a full-scale remodel will be done on the building. This includes some needed infrastructure improvements, but also will include some upgrades such new bathrooms in each classroom, security improvements, technology improvements and overall cosmetic updating to make our building as welcoming and safe as possible, while still providing a top-tier Christian-based education environment. We ask for your patience, prayers, support, and encouragement as these updates are implemented. More information will be coming, particularly on Vacation Bible School and summer camp plans, but we wanted to share these exciting announcements now, since you and your children are important to us and to our future!